Carrying Value - What Does It Mean? What does the term "carrying value" mean in the world of finance? What is the definition of the term "carrying value"? 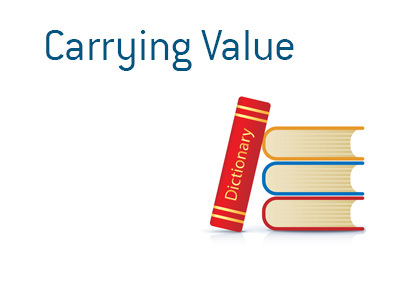 In finance, the term "carrying value" is used to show the remaining value of an asset on a company's books. So, the "carrying value" of this asset would be $60,000. It should be noted that "carrying value" is not to be confused with "market value", which is the value that an asset could fetch on the open market. Carrying value and market value are two different things - an asset that has a carrying value of $60,000 on a company's books may only fetch $45,000 in the marketplace.